So I was minding my business researching the LoveNVegas author event, when I came across this author and her new book. It was available on kindle unlimited and the rest is history. 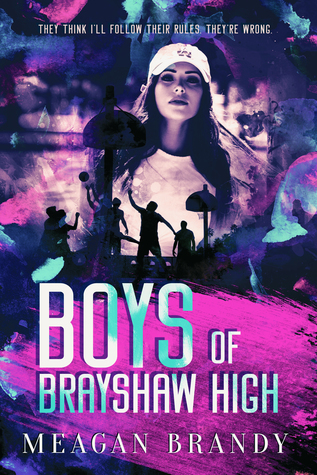 We’ve all read these types of stories… New girl, the popular guys are *ssholes, bullying ensures, and mayhem follows. Yeah this book had all of those but it also offered something those other stories didn’t, Raven. Raven has had a traumatic childhood and her response to those events allowed her to become extremely authentic. As the reader I wanted Raven to play nice with Maddoc, Royce, and Captain. I wanted my HEA now! But, I have to say how much I respect and appreciate the author for delivering Raven’s truth in an unapologetically honest way. Raven is who she is. She doesn’t trust easily, and I think readers even have to earn her trust. It’s a huge job but I think Maddoc, Royce, and Captain are up for it. These men-children are the epitome of alphas. They’re rich, powerful, and have zero f***s to give. They’re just what Raven needs, even if she doesn’t know it. I pray she realizes it before it’s too late. This book left me speechless and staring at the wall. Brutal cliffhanger!!!!!! All I have to say is that Meagan Brandy needs to beware of my ultimate fangirling come October! I was looking for book 2 before I completed this one.